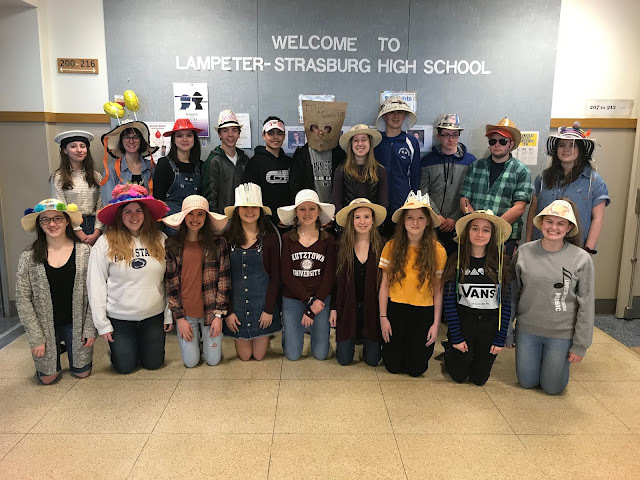 On Friday, the high school PTO will be holding their annual Mr. Pioneer contest in the Lampeter-Strasburg High School Performing Arts Center at 7:30 pm. Connor Shelton will represent the Madrigals in the Mr. Pioneer Contest. Conner Shelton will proudly represent the Madrigals in the Mr. Pioneer contest. He participates in six music ensembles, spring musical, and plays six instruments. The highlight of his senior year has been portraying a skater in High School Musical. 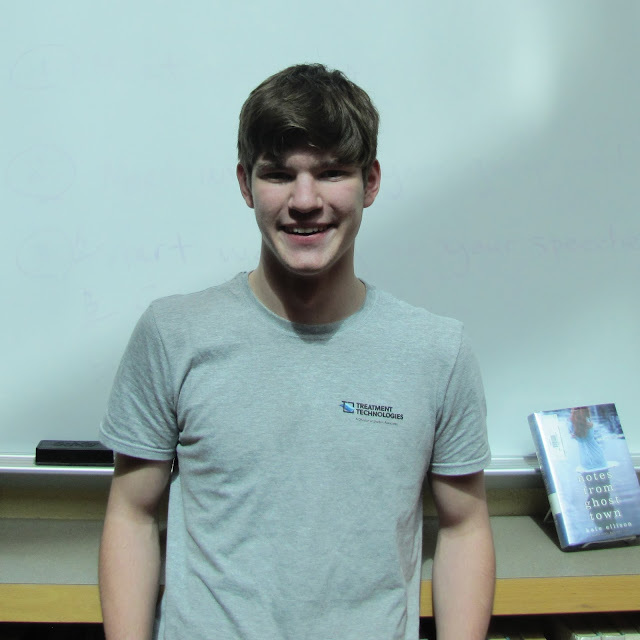 When he graduates, Conner plans to pursue a chemical engineering degree. Back row left to right: Andrew Lines, Jordan Williard, Conner Shelton, Steven Hollern, and Grant Davis. Front row left to right: Aaron Possler, Nate Ferrari, Jack Drummond, and Will McClintock. Other contestants for Mr. Pioneer include Grant Davis representing the Interact Club, Jack Drummond representing the National Honor Society, Nate Ferrari representing Student Council, Steven Hollern for Varsity Club, Andrew Lines for the L-S Thespian Society, Will McClintock representing Mr. Adrian Baker’s Homeroom, Aron Possler for the Tri-M Music Honor Society, Conner Shelton representing Madrigals, and Jordan Williard for the Model UN. If crowned Mr. Pioneer, the recipient will receive breakfast for their homeroom, plus a portion of their votes will be donated to the club or homeroom he represents. Also up for grabs is the Spirit Award. That person wins donuts for his club or homeroom. Tickets are $5 and will be sold at the door and at lunch the week of the event. Announcement of 1st & 2nd Runner-ups, then crowning of the 2017 Mr. Pioneer. 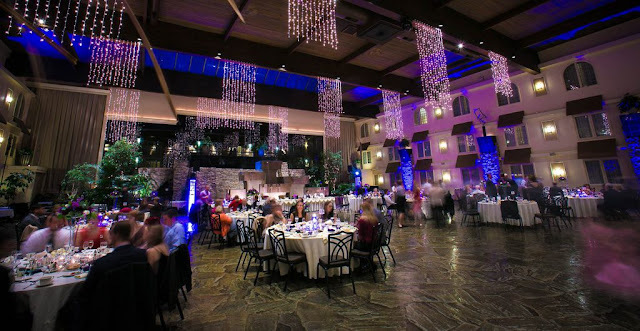 In addition to judging, friends and family may vote for their favorite contestant. One dollar equals one vote. All proceeds benefit Spring Blast for 9th & 10th grade students, plus Post Prom for all prom attendees, plus any 11th or 12th grade student. Spring Blast is from 7-9:30 pm, Post Prom is 10 pm-2 am. Both events are held on Saturday, May 13. 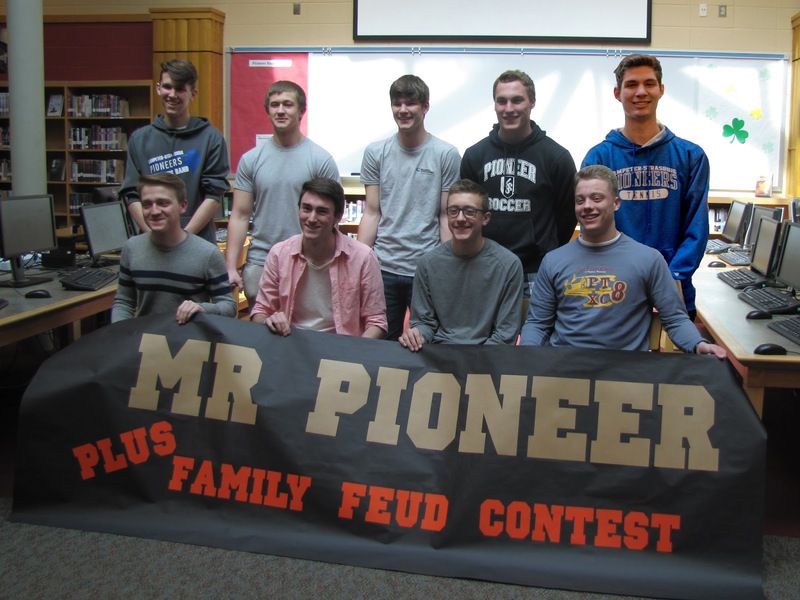 The 2016 Mr. Pioneer contestants (from tehe left): Teddy Mazaheri, Chaz Wolf, second runner-up Ben Rhoades, Kevin Reed, winner Chase Pirozzi, Andrew Hay, first runner-up George Grau, Sam Welk, Tyler Thomas, and Justin Burkett. Last year's Chase Pirozzi was crowned Mr. Pioneer last night in the contest sponsored by the high school PTO. Pirozzi, who represented student council, took the prize while George Grau, who represented outdoor club, and Ben Rhoades, who represented Pioneer Interact, took first and second runner-up respectively.